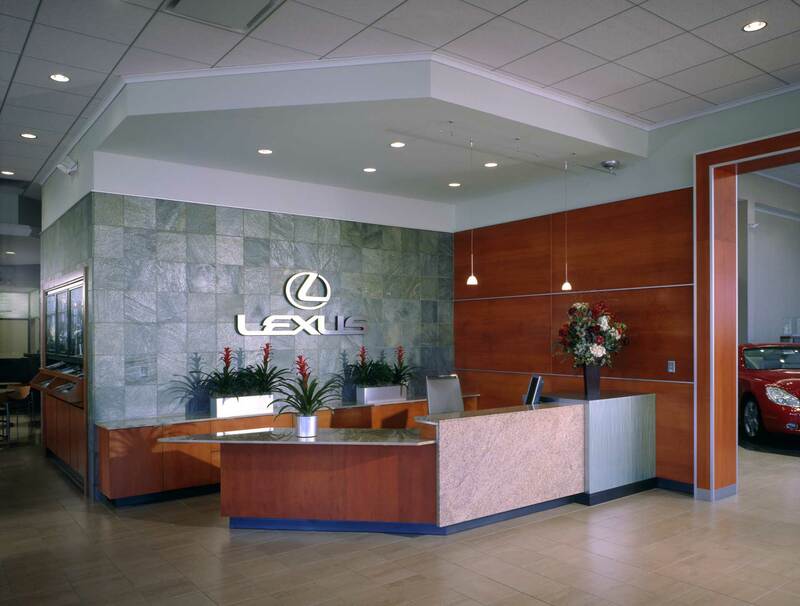 Design objective was to create the optimal customer experience that expresses the “Lexus brand identity” in an atmosphere that complements the surrounding upscale customer demographic. At the entry point, the customer is presented with a refined palette of stone and rich cherry wood materials. 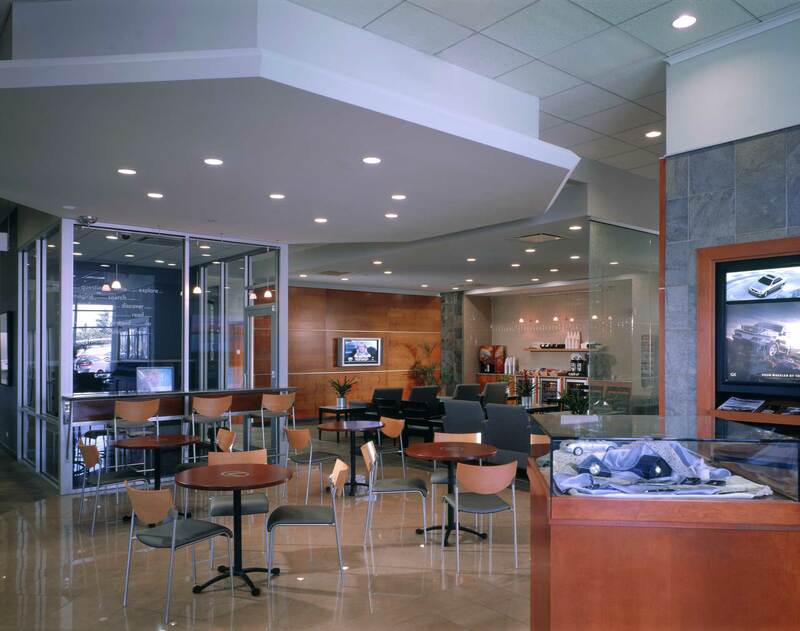 In the customer amenity area, we defined space within a space by use of materials and ceiling treatments. The zones include café, TV waiting area, children’s play area, and an Internet quiet zone. 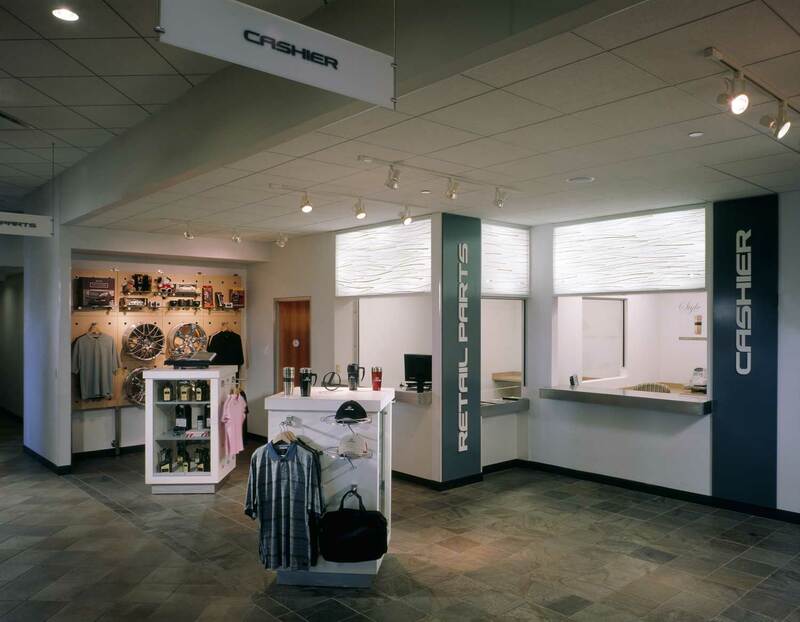 The Lexus retail store and the cashier station area integrated into the total brand experience. A mix of custom cases and stock fixture systems were used.